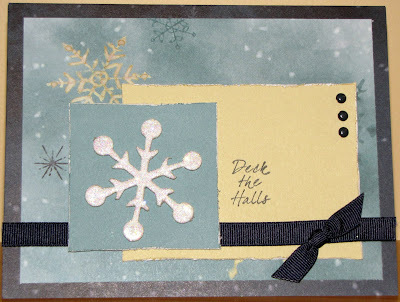 This card was also made using the Aspen paper pack, with added grosgrain ribbon and a dimensional snowflake from the Flurry set. It's hard to see in the photo - but the snowflake is covered in glitter! Santa! This Santa stamp is from the St. Nick stamp set. Paper is Mistletoe, with Cranberry grosgrain ribbon. 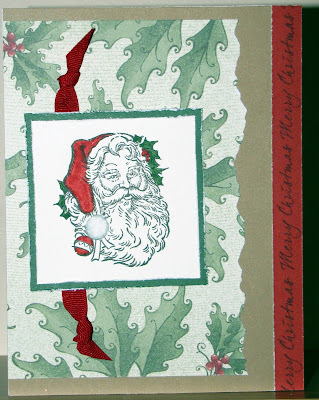 Paper also from the Mistletoe paper pack. Cranberry grosgrain ribbon and brad, Stickease from Evensong (retired). 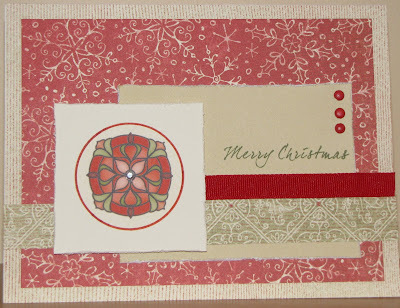 Layout from our 'how-to' book, Wishes. 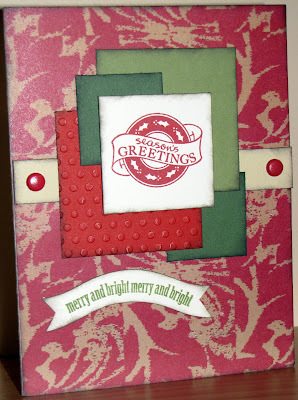 Season's Greetings stamp from Just for the Holidays Stamp set. Super cards Anne! I love em' all! I really need to get a Cuttlebug. 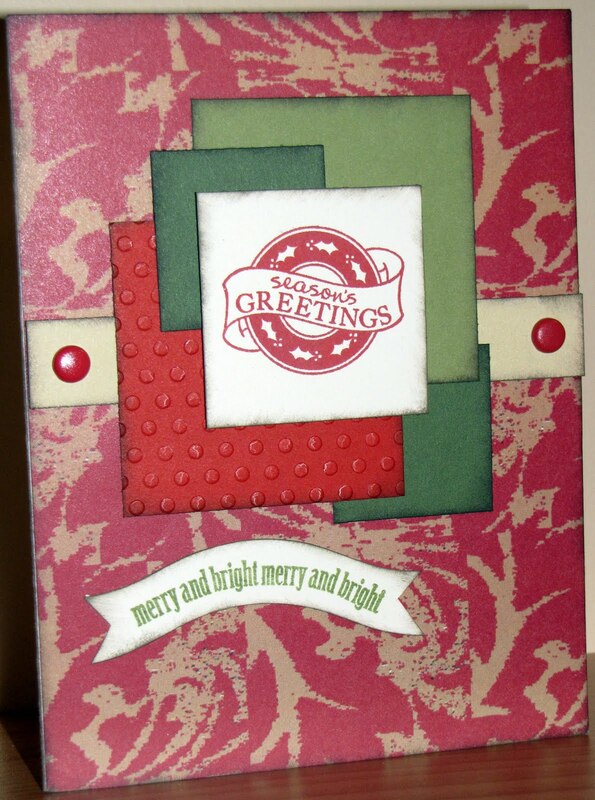 I love the clear card that you embossed!